Are you tired of dead-end, low-paying jobs? Are you looking for a career instead? Dulles Glass has a brand-new opportunity for you! The Glass Technician Apprenticeship Program is now accepting new team members to come learn the craft of glazing and glass installation. 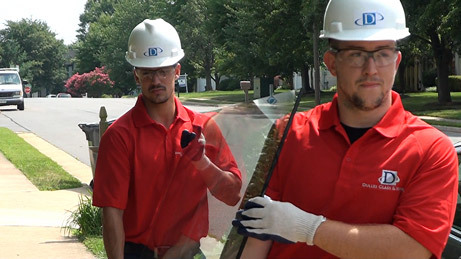 With this program, there is a clear way to advance through the program from Glass Technician all the way to Senior Installer. Learn a new trade on the job while getting paid to learn it! If you’re a motivated, engaged worker looking for better career options, then become a Glass Technician Apprentice today! You’ll learn from the masters, who will teach you what you need to know to achieve the next levels in your career. Grow with our company in this exciting new position!